Raspberry Oatmeal Coconut Bars Maybe Even For Breakfast Saturday. Dessert bars, or simply “bars” and “squares,” are undoubtedly an American creation. 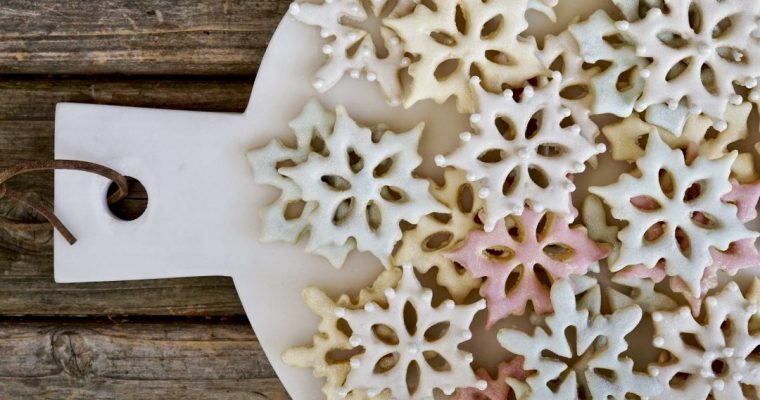 They are sweet snacks that can have the texture of cake or a cookie, be made in one pan, and enjoyed any time of the day. Staples of neighborhood bake sales, class parties, and picnics, bars are great anytime of the year. 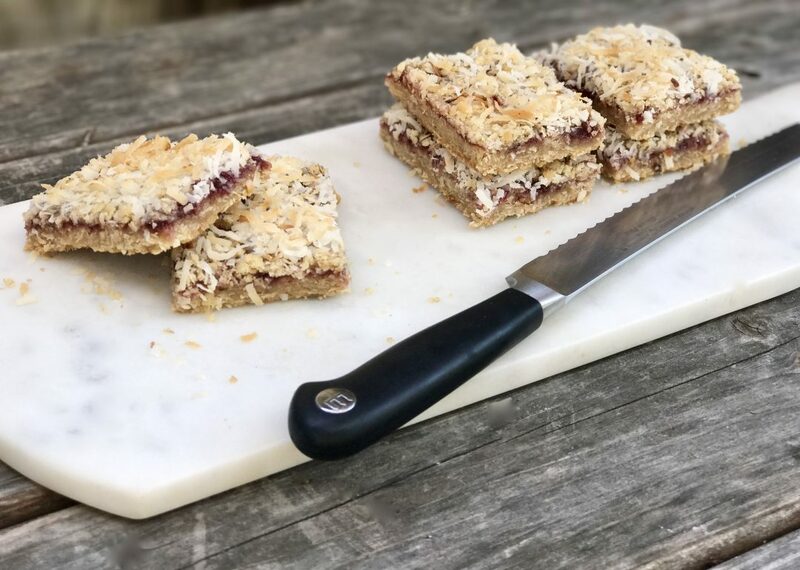 I make my recipe for raspberry coconut bars using seedless raspberry jam, and although I have not done so, one could easily substitute it with another flavor of jam. Apricot, strawberry or blackberry jam would all be fantastic. 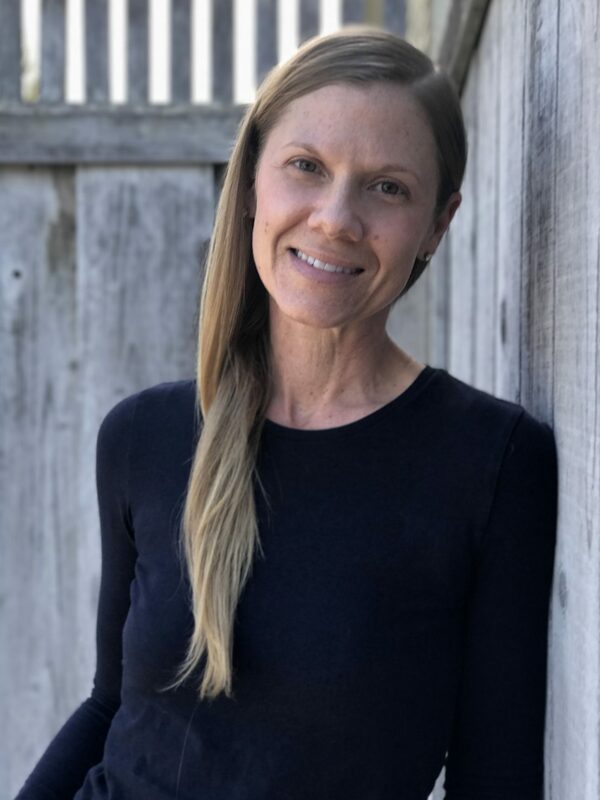 Like cookies, bars have countless variations–seven-layer bars, lemon squares, cheesecake bites, chocolate peanut butter bars. 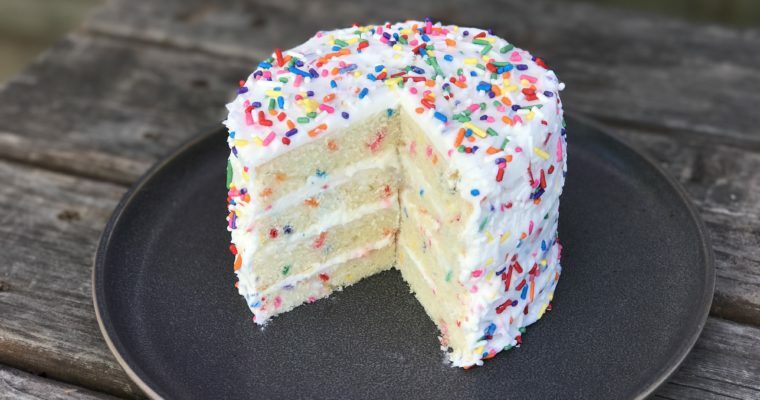 They sometimes push culinary boundaries (if you ask me), like those that are piled high with fruit loops or sprinkled with chia seeds. I like bars, as they fall in the cookie family, and I’ve yet to meet a cookie I didn’t like. 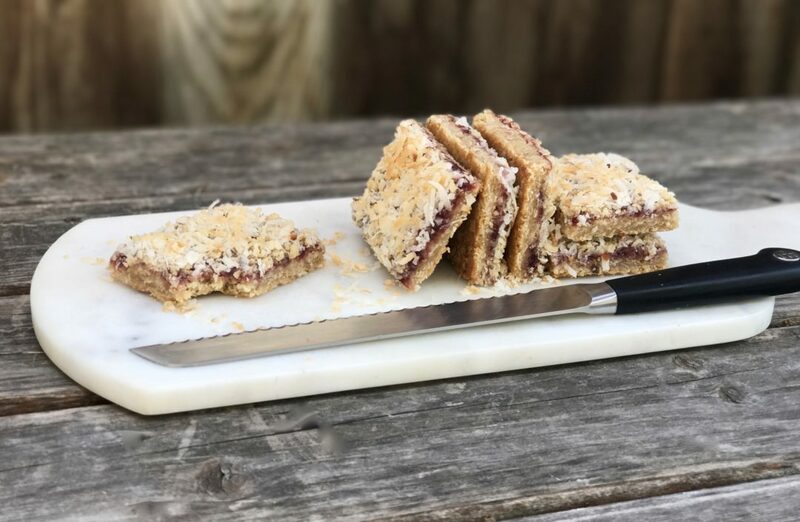 This recipe for raspberry bars is a favorite of mine that I make often. It incorporates some of my favorite ingredients: oatmeal, coconut and raspberry. Some of my family even justify these as a great “breakfast bar”, they do have oatmeal in them so maybe that works after all. Whatever you call them, I think they are delicious and worth a try of you like cookies and/or bars. 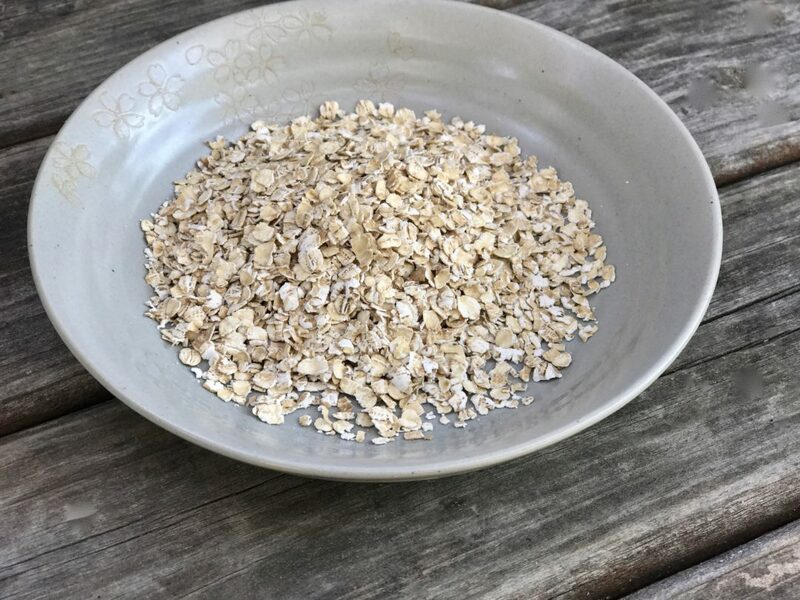 In this recipe I use organic quick oats (oats that are pre-cooked, dried, and then rolled and pressed slightly thinner than rolled oats) but you can us regular oats we well. I slightly prefer the quick oats here because they cook more quickly than steel-cut or rolled oats. Step 1 Preheat the oven to 375 degrees F. Lightly butter a 13-by-9-inch baking pan and set aside. Step 2 Place 3/4 cup coconut on a sheet tray. Lightly toast in the oven, mixing once, until light golden brown in color, about 7-8 minutes. set aside and let cool. Step 3 In a food processor, such as a Cuisinart fitted with a blade attachment, add the flour, both sugars and salt and well. Step 4 Add the butter and pulse to incorporate. Step 5 Add the oats and pulse a few more times to make sure the oats are mixed in. Step 6 Transfer to a medium size mixing bowl and fold in the toasted coconut. Mix well. Step 7 Reserve about 3/4 cup of dough for the topping. Place the remaining dough into the prepared baking pan. Using your fingers, press the dough evenly into the bottom of the pan covering the entire bottom. Step 8 Using a spatula, spread the jam over the dough. Step 9 Crumble the reserved dough evenly over the jam. Sprinkle the remaining untoasted coconut on top. Step 10 Bake on the middle rack for 25 minutes. Cool completely before slicing. I remember having these bars with you, Neal and the boys at that park in Portola Valley ages ago! I love these bars! Another winner!